driver of economic growth in the developing Pacific. THE RECENT Small- and Medium-Sized Enterprises Summit in Madang had job creation and growth as its worthy goal. 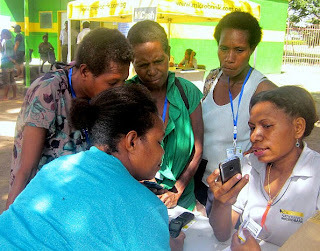 Although Papua New Guinea has grown rapidly over the past decade, this has not translated into jobs in the non-resource sector and unemployment is worryingly high. The SME Summit is a welcomed step towards promoting the creation of jobs and reducing the cost of doing business. It is therefore timely to outline some of the factors that have proved to be successful in generating employment in other countries. First, in the longer run, employment, growth, and prosperity are determined by one thing alone, namely how productive the economy is. Productivity is a function of many things – technology, how educated is the workforce, how effective are government services, the legal system, and the levels of investment. Second, this in turn suggests that government should act to provide a business environment that is conducive to long-term investment. Uncertainty and frequent changes in policies increases risk and discourages investment. A low cost investment climate is the surest way to encourage entrepreneurship and growth.